Rubber Room Ramblings: NOW IS AN AWESOME TIME TO JOIN MY STAMPIN' UP! DEMONSTRATOR TEAM! 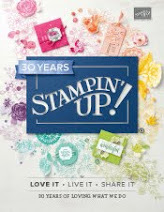 NOW IS AN AWESOME TIME TO JOIN MY STAMPIN' UP! DEMONSTRATOR TEAM! There is no better time than during Sale-A-Bration to become a Stampin' Up! demonstrator! When you become a demonstrator during SAB, you get an additional 15% off your starter kit; you can pick the regular starter kit or the digital starter kit; AND you also get to pick a FREE stamp set (your choice of $47.95 or less). With your 15% off, that makes your standard starter kit $169 (for $335 in product) or your digital starter kit is $157 (for $295 worth of product). 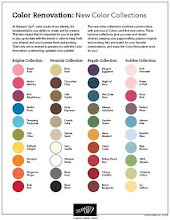 You can also personalize the items in your starter kit to meet your specific needs. That means you can pick the Card stock , Ink pads, Stamp sets , Stampin around wheel and Stampin around ink cartridge! You can chose to be a hobby demonstrator or make Stampin' Up! your full-time job. With the economy the way it is these days, this is a perfect opportunity to "fund your habit" with the 20% discount demonstrators receive. OR if you need to earn some extra money to help with the household budget or be able to save for a vacation, Stampin' Up! can help you do that too. Stampin' Up! provides all of its demonstrators with awesome and valuable training, information, ideas, and tools for you to Love What You Do! Some of them include: training events, convention (which I LOVE and will be attending this year ;o), a monthly magazine chock full of tips and ideas, demonstrator websites, demonstrator only online social communities, pre-order for upcoming products~~the list of benefits you will enjoy as a demonstrator just goes on and on! As part of my downline you will also receive some "extra" benefits when you become a demonstrator. I will work one-on-one with you to prepare for workshops, make a business plan or just share some stamping time. You will also be invited to join not only my demonstrator activities, but all demonstrator activities I am participating in. Each month I have two days and one evening where you can share ideas, stamping time and creations with other demonstrators in the area. You are welcome to attend any of my classes for FREE. AND I will be available to offer support in any way I can so that you will be successful with Stampin' Up! If you have any questions at all about taking advantage of this great special and enjoying all the benefits of being a Stampin' Up! Demonstrator, please contact me! SIGN UP AND PAY FOR CLASSES THE EASY WAY! WITH ALL MY HEART AND SCALLOP TRIM BORDER PUNCH! EXTRA LARGE TWO-STEP BIRD PUNCH! I LOVE MY BIG SHOT!! WHITE STAZ ON LOVELY AS A TREE! MY SPICED NUTS MEET LOVELY AS A TREE! CHRISTMAS JINGLE SIMPLY SCRAPPIN' KIT! SNOW SWIRLED WITH WHITE STAZ-ON! WOW IT'S ALMOST THE MIDDLE OF JANUARY ALREADY! 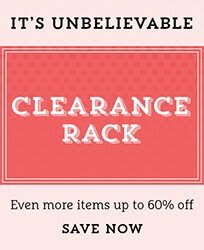 COUNTRY LIVING PROMOTION GOING ON NOW! SWEETHEART STAMP SET AVAILABLE NOW! HEART TREAT CUPS AVAILABLE NOW! RING IN THE NEW YEAR STAMPIN' UP! STYLE!